Sign up and receive Property Email Alerts of Garden Cottages to let in Groblerpark, Roodepoort. Neat and secure rental cottage in Groblerpark,Roodepoort. There is a small lounge that you enter into from the external sliding door, this room has extra packing space perfect for linen, books etc. The kitchen is well appointed with space for 2 appliances and has ample cupboard space. Between the lounge and bedroom you have a small room which can be used as a study/office or dining room. This sunny and warm cottage has a large bedroom with laminate flooring and built in cupboards. This room is very spacious with ample room for a queen bed plus dresser etc. 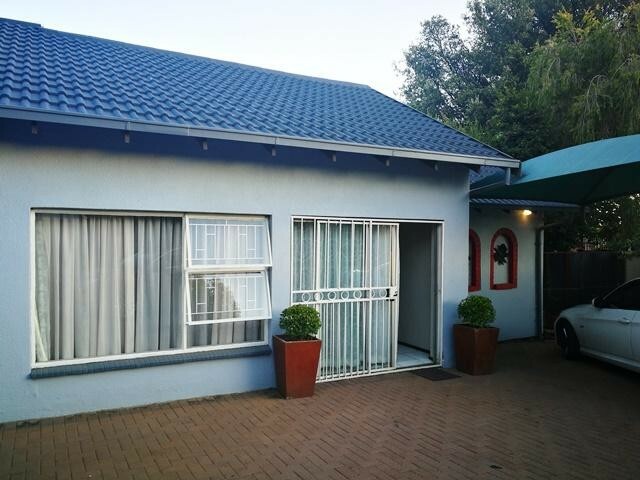 This to let cottage in Groblerpark,Roodepoort has a beautiful private garden which allows for 1 small dog or cat and s perfect for a small braai or get together. 1 carport is allocated to the cottage for secure parking. Sign-up and receive Property Email Alerts of Garden Cottages to let in Groblerpark, Roodepoort.